Clicking options above gives the below. Barcode indication at top of window. Barcode button at bottom of screen. Barcode entry unexpanded and expanded windows. Center of manual entry window. Entering "+1.25" in left sphere. Entering "+1.75" in right sphere. 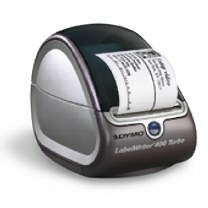 Dymo LabelWriter 330 and 400 turbo. The team can also manually enter the data into the computer. Detailed documentation on the glasses reader program will be provided with the purchase of the program. Reichert Lenschek, Humphrey LA350/360, Reichert AL200, Tomey TL900, Humphrey LA340, Tomey TL-3000, Topcon CL-100, Nikon NL-2 and One can also indicate that bar code or keyboard input will be performed. Select the number of your COMM port from none to 12. Select the file path as to where the data collection files must be placed. This path and all directories for it must exist or the program will alert you to this error. You can also click No File Output or input if you are just creating barcode labels. If you are building your inventory you SHOULD click Check to read file into memory at startup. Printing You can turn printing on or off. Print After Measurement You can turn on and off the indication to print the label immediately after measurement. This should be off if you plan to add manual characteristics about the glasses before printing. Show Inventory # on printout? You can turn off and on the printing of the inventory number on the label. You can choose between two different types of barcode printouts or you can choose a brief printout of the prescription which does not include a barcode. You can also specify what type of label you are going to use but you must still configure the DYMO printer driver to match this selection. When the bar code reading option is selected you will see Figure 3 at the top of the window and the yellow barcode button in Figure 4 is added to the bottom. When you click this yellow button you will see the window showing in Figure 5 (unexpanded and expanded). The user will then wands in from the label the top bar (right eye) and bottom bar (left eye) and this window will accept the data and store the results on the inventory file or perhaps even optionally print another label. This process allows you to build your inventory. A user can also manually enter the data. If you click on the "Manual Data Entry" option at the bottom of the screen you will see Figure 6 followed byi Figure 7. This provides a special mouse controlled keypad to enter the glasses prescription. For example to enter a 1.25 in the left sphere click "1" ".25" and then the left sphere field and you will see Figure 8. To enter "1.75" in the right sphere you click "1" ".75" and the right sphere field and you will see Figure 9. Clicking any of the Both buttons causes the number in the data entry area to be copied not only in the the field to the immediate left to also to the equivalent field on the opposite side. For example if you enter 2.25 and then click the Both to the right of the right sphere 2.25 is entered both in the left and the right sphere areas. As you enter multiple readings from the lensmeters, the system will automatically save them when a new reading arrives. It will indicate below the SAVE button "xxxx saved successfully..." as shown below. After saving an entry, the system will automatically increment the inventory number as shown in Figure 12. This allows for rapid data entry from a lensmeterof between 2 and 3 entries per minute. When you are manually entering data, you need to click SAVE yourself which again will automatically increment the number. If you click the "Printing On" option in Figure 2 you will see the button shown in Figure 13. If you have selected the "Print After Measurement" option in Figure 2 then the "Automatically Print?" selection will be made in Figure 13. This means that as soon as the data is entered the barcode printing begins. 2) a barcode library from Elfring Soft Fonts for $99. Figure 15 shows the flags entry field where one can describe the glasses. Several of the flags are automatic while several must be manually entered. Manual Flags Sunglasses, Scratched, For Male, For Female, Either Male or Female, For child. Reading glasses is manual when you clear the above option. Here you can select the frame size. It is assumed that small is 65mm, Medium is 67mm and large is 70mm. You can also enter the actual PD or you it is automatically entered by some lensmeters.